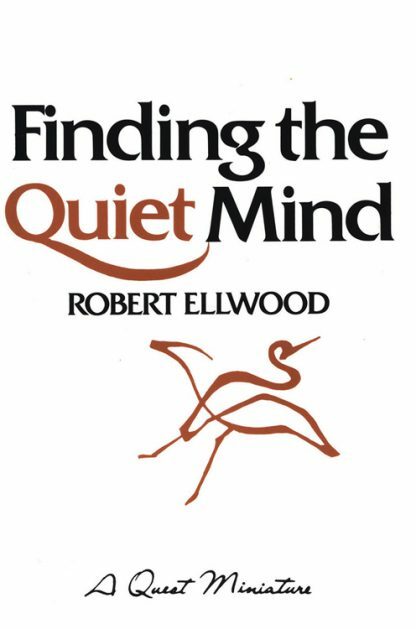 "Finding the Quiet Mind is a practical approach to beginning meditation that will lead the reader step-by-step into finding more calmness and reaching inner resources of joy and power for daily life. It synthesizes teachings from both Eastern and Western philosophies in contemporary language appropriate for all modern readers, regardless of their religion or worldview, and assumes that most people can benefit from meditation without relying on an external teacher. Included are tips on body posture, breath, and mantras, as well as a chapter on mediating for the wellbeing of others. Author Robert Ellwood is Distinguished Professor Emeritus of Religion at the University of Southern California.